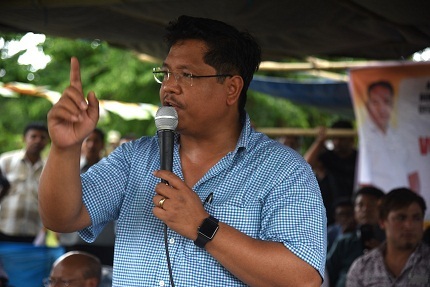 Meghalaya Chief Minister Conrad Sangma on Tuesday called for giving more autonomy and power to the North Eastern Council (NEC). Interacting with media in Shillong on Tuesday after the NEC meeting, Sangma said it is important that funding for the NEC, which is the nodal agency for economic and social development in the region, goes up as its budgetary allocation is less. On the issue if the Centre’s decision on new schemes for the North East overrides the NEC’s plenary, he said there was nothing like ‘bypassing and the Cabinet has its own powers to take decision on certain matters’. He also said that if any differences crop, those can be resolved amicably, adding that, many concerns were sorted out and ‘communication gaps bridged’ during the two-day plenary. Conrad said some schemes were not matching the new guidelines and these schemes were required to be passed in the plenary of the NEC under the new guidelines. Conrad also reiterated that the states should be given flexibility when it comes to North East Special Infrastructure Development Scheme because the requirement of every state is different.